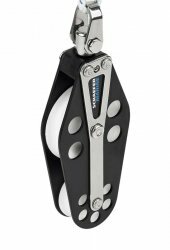 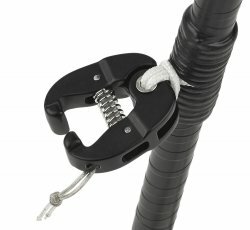 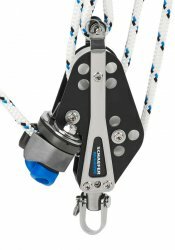 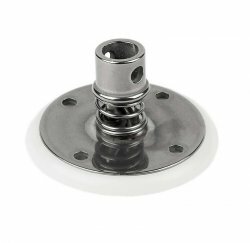 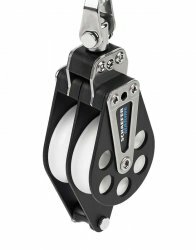 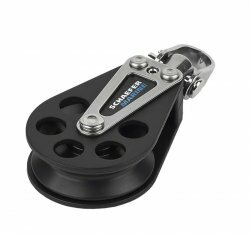 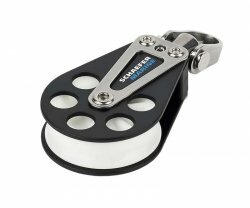 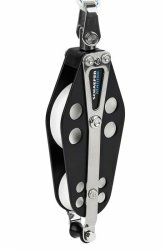 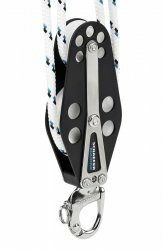 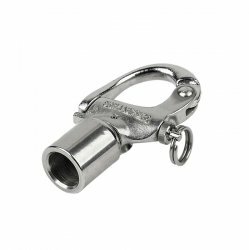 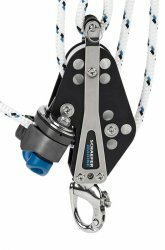 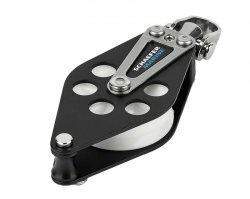 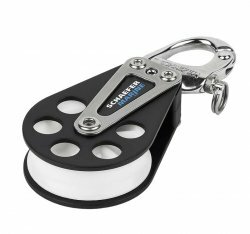 5 Series 2 (51mm) Sheave : Schaefer Marine, Inc.
5 Series blocks offer small to medium sized cruising and racing yachts an extremely high strength/weight ratio resulting in a highly refined and reliable block. 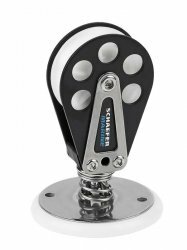 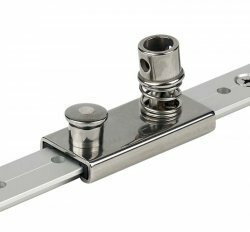 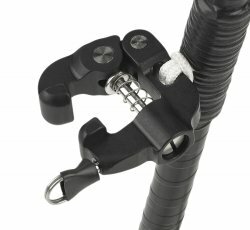 Our versatile universal head design has a three way built in locking feature and accepts Schaefer "universal" adapters for custom mounting. 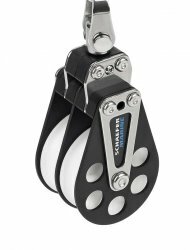 5 series blocks are offered with Aluminum cheeks and plain bearing sheaves (504 series), Stainless Steel cheeks and plain bearing sheaves (505 series) and Aluminum cheeks and delrin(tm) ball bearing sheaves (506 series).